It’s both a blessing and a curse when Ulta and Sephora have sales at the same time. I decided to be slightly practical, mainly purchasing back-ups of my most used products…but of course, I also had to throw some pricey items (that I’ve been too fearful of purchasing at full price) into my cart as well! I wanted to show you what I got, but also provide some mini-reviews and swatches, so you can decide if you want to try them out too! I’ve always been curious about the PÜR brand, but I never tried anything out! I recently watched a YouTube video where KathleenLights was speaking so highly of these liquid eye shadows, so I had to try them out for myself! I got the shade, “Silk” which could be described as a bronze, copper shade. The texture is like a gel-liquid consistency. It comes with a silicone eyeshadow applicator, but I found its most effective to just apply with your finger tip. Initially, I was a bit concerned with how liquid they were, just because I could see the major creasing and transferring happening in my future, but these actually stayed put! I was also impressed at how easily you can layer this product! With other gel/cream eyeshadows, I notice that the more product I apply, the more likely I experience uneven application with random areas of the eyeshadow separating. These Eye Polish’s definitely perform to their claims and stay put! There are some other great colors in the range that I’m definitely going to try out now! I’ve tried the regular “All Nighter” setting spray by Urban Decay, but I wanted to see if their “Chill Cooling and Hydrating” formula would be equally as great! I love the cooling feeling that this one gives, it’s super refreshing. I didn’t notice that it did any extra hydrating, but I’m going to continue to use it to really test that out! I cannot do my makeup without using a setting spray to top it off. Kim Kardashian’s makeup artist swears by this technique to extend the wear time of her makeup. He insists on fanning the entire face right after spraying the setting spray! The added pressure from the wind you’re generating by the fanning motion, helps the product absorb into your makeup, rather than just sitting on top of your skin; good to know! I didn’t really “need” this product, but I’ve always admired it in store and just decided now would be a good time to try it out! I fill in my eyebrows using the Anastasia Dip Brow Pomade and this is the recommend brush to use with it. I really loved how precise I could carve my brows out and then flip to the other end and brush the product through. I feel like this saves me time, since it’s double-ended, which is another major plus! I really love BareMinerals lip products and I’ve heard so many great reviews about their Buttercream Lip Glosses! I decided to try out the color “Fly,” which is describe online as a “radiant tan with gold pearl.” I really loved how non-sticky this is! It didn’t last a long time, but that’s to be expected with glosses so I just reapplied as necessary. I really love the comfortability of wearing this, plus the color is beautiful! I don’t typically gravitate towards shimmery lip colors, but I think this will be beautiful during the summer months when I want that all-over, dewy look! I held out on buying this product for the longest time because I thought I could make the DUO one work for me. I tried this glue for the first time yesterday and wow…just wow. First of all, it doesn’t stink like the other lash glues and I know you know the exact smell I’m talking about. Secondly, it goes on a pearly white color and then changes to a turquoise blue and then to black. When it gets to the blue stage, that’s when you know it’s tacky enough to apply to your natural lash line! This held my falsies in place through wind and rain. I am a proud supporter of this product and would highly recommend it if you love wearing false eyelashes! I picked this up because it had great reviews and I’ve been wanting to try out Belief skincare for awhile! I’ve only used the products once, but so far I like them! Very hydrating, but super lightweight, which is nice for the warmer months when I don’t have severely dry skin! I also love that these products have a slight lemon scent, so fresh and so clean-clean! This is kind of a glorified chapstick, but it’s fine guys because I GOT IT ON SALE, OKAY?! I purchased this because I wanted a moisturizing lip product to wear underneath drying liquid lipsticks or alone for no-makeup-makeup looks. This one is super glossy and wet looking on the lips, without being sticky! It also fills in the small lines on my lips, which is kind of nice. This is a good product, it’s just not a must-have in my opinion! I really didn’t want to buy this product, like I tried very hard to not purchase this, but I just couldn’t help myself. This product is so hyped and had awesome reviews, so I decided that getting it 15% off would somewhat justify its unreasonably high price point. I did really like the way it made my brows look, but it wasn’t as life changing as I had hoped! It kept my brows locked in place all day, but I just thought it would’ve made them look bushier or more editorial or something extra! You definitely don’t need this product, but if you’re looking to make your brow game a little more boujee, then I would say go for it! I mean what more can I say about this concealer. I feel like I’m always hyping it up because it’s seriously THAT GOOD! It’s super lightweight, never creases into my fine lines and lasts all day! It comes in so many shades, so you’re bound to find a color that suits your skin tone best! I highly recommend this product if you’re looking for an amazing under eye concealer that won’t let you or your bags down! I feel like I’ve bought over 5 of these primers…they’re so amazing! I use this as a light moisturizer during the warmer months when my skin isn’t as dry. One of the main ingredients in this product is coconut water, so it smells super tropical every time I apply it! It’s very light on the skin and gives you a sticky base that your liquid or powder products will cling to! Buxom lip glosses are my all-time favorite because they’re super shiny and actually plump your lips! I can’t believe I never purchased the shade “Dolly” because it’s my favorite, mauve-pink shade that I love to wear. They do have that extreme minty feeling, but I’ve grown so used to it over the years that it doesn’t affect me anymore! These glosses are very sticky, but I think that’s what helps them last so long throughout the day. Smooth, slightly plumping and opaque; what more can you ask for?! This is my favorite “banana” colored powder to set my under eye area with! I do find that it gives just an extra amount of brightness and really helps me look awake! I’m so happy they sell the refills of these powders now because I was always hitting pan on the brightening shades in her contour palette! I’m pretty sure I’ll continue to purchase this eyeliner for the rest of my life. 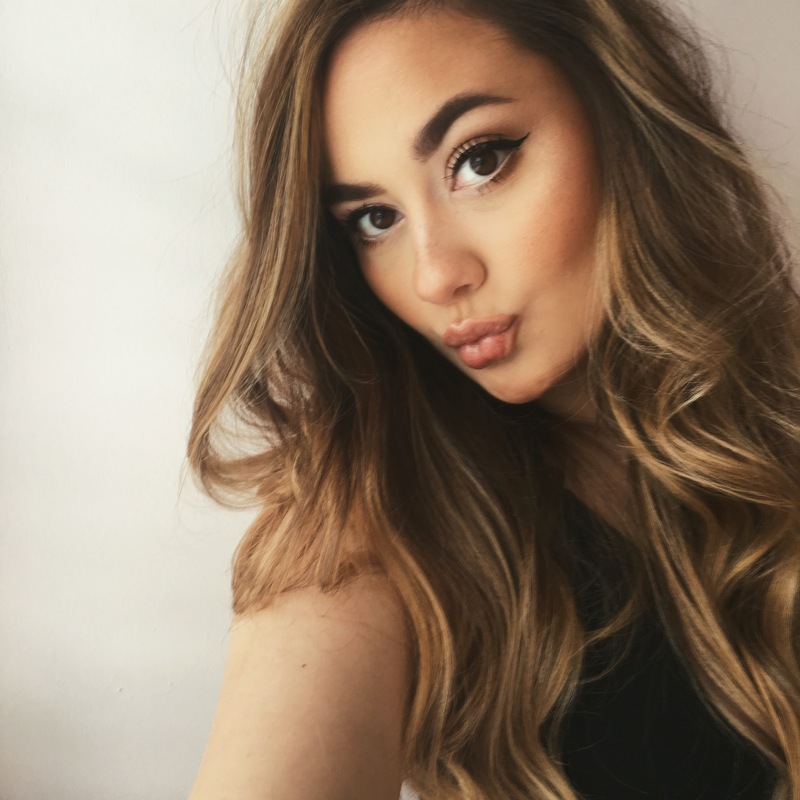 If you know me, you know I love winged liner and this product helps me get the perfect flick each time! It’s super black and will last forever on your eyelid! If you have struggles with liquid liner or felt-tip liners, I think you’ll find this one so easy to use. It’s a must have product in my makeup collection! Thank you for checking out my picks from the Sephora and Ulta sales! I love stocking up on items that I know I’ll use and also giving myself a good excuse to try some pricier items as well! 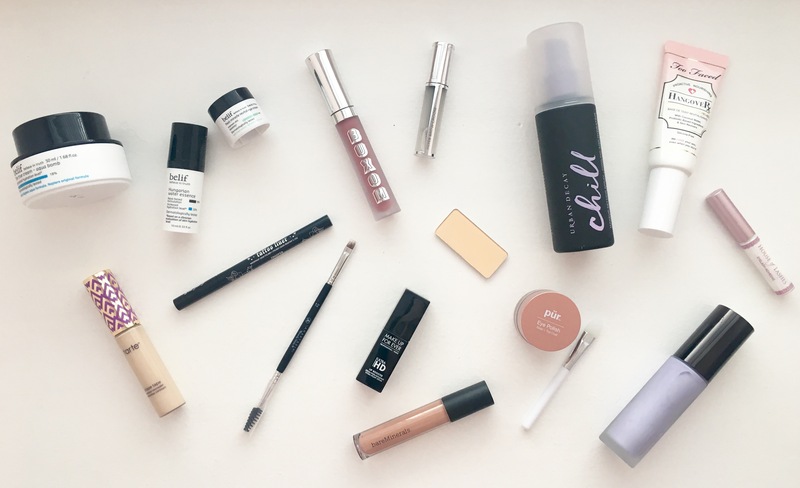 What are your staple makeup products that you continually repurchase? What are some high-end things that you think are worth the money? Leave me a comment and let me know!